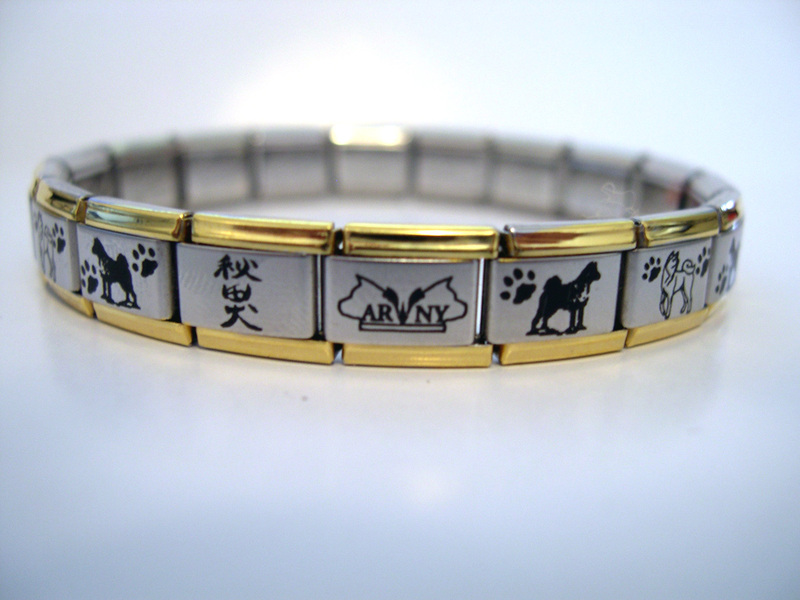 Unique, exclusively designed and made for Akita Rescue of WNY! You will not find these any place but here and all proceeds go directly to the care of our dogs! This is a 7" standard, laser etched Italian charm bracelet. 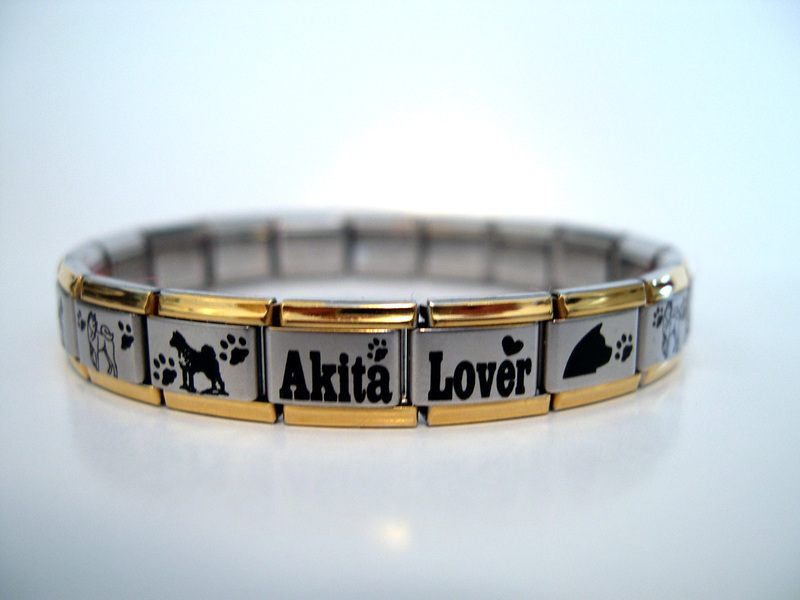 The bracelet pictured above is the silver with gold trim. Extra charms can be purchased for larger wrist sizes. The bracelets have 18 links.